While Gartner made the bold claim that the data center is dead, CEO Emil Sayegh dives deeper to see what is driving the decline and if enterprise companies should consider jumping ship. Hostway has around 500,000 customers worldwide and HOSTING.com has about 4,000 customers, with a now combined 600 employees serving global operations. Hostway and Hosting, two hybrid cloud managed service providers, are merging to beef up their joint international services for enterprises. Hostway Corp., a Chicago-based cloud hosting company with significant San Antonio operations, is merging with Denver-based HOSTING.com Inc., another information technology services business that sells slices of the cloud to businesses. In his keynote speech, Hostway CEO & President Emil Sayegh shared insights on choosing cloud services, pushing advancement, and ideal hybrid cloud scenarios for production at CAPRE's Sixth Annual Texas Data Center Summit in Dallas. At CAPRE Sixth Annual Texas Data Center Summit in Dallas, Hostway CEO & President Emil Sayegh delivered a keynote speech on choosing cloud services, driving advancement, and the best hybrid cloud scenario for production. How is Cloud Architecture Adding Value for Customers? At a recent industry event by CAPRE Media, Hostway CEO & President Emil Sayegh, joined a panel to discuss cloud migration strategies. Hostway CEO & President Emil Sayegh discusses new strategies to help organizations adapt to advancing technologies. Which Workloads Should Go Where, And Why? Recently at CAPRE’s Chicago Data Center Summit, Hostway CEO and President, Emil Sayegh, joined a panel called The End-User Approach to On-Prem, Hybrid, the Cloud, and Tomorrow’s Compute Needs and Initiatives, where he discussed the economics and capabilities of the cloud. Hostway SVP of Marketing, David Rodriguez talks about the importance of compliance requirements for marketing organizations when choosing a technology provider. 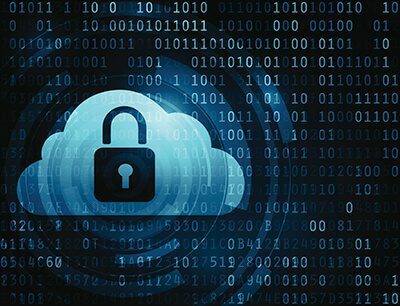 Hostway CEO & President, Emil Sayegh, examines cloud technology options for enterprises in 2018. The world’s most trusted managed compliant hosting provider supports the leading internet of things. Hostway CEO & President, Emil Sayegh, offers insight into why Dropbox dropped AWS public cloud. Digital Realty DLR has been selected by cloud hosting provider, Hostway, as its data-center partner for global expansion. Hostway’s CEO Emil Sayegh talks about the rising opportunity for MSPs and the future plans of Hostway. Hostway adds new datacenter and plans to hire dozens in the coming months. Cloud and managed hosting company Hostway has opened its third data center in Austin, Texas. At the Chicago Data Center Summit in June, we spoke with Emil Sayegh, CEO and President at Hostway Services, Inc, and how he’s seeing diversification as a growing trend in the end-users he works with in the data center space.